Deborah Jin, a Professor Adjunct in the Department of Physics at the University of Colorado Boulder, and a Fellow of JILA, passed away September 15, 2016, many years too early. 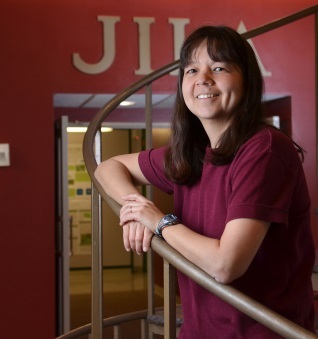 Deborah Jin has made a great scientific contribution to the world exploring the physics of atomic gases at ultracold temperatures and investigating the link between superconductivity and Bose-Einstein condensation. She was also one of the pioneers to create the first ultracold gas of polar molecules in the quantum regime which lead her and her colleagues to the field of ultracold chemistry. Deborah Jin was one of the first to the use ultracold KRb molecules in a quantum simulator to investigate quantum behaviors. Deborah Jin was a role model and inspiration for women scientists worldwide, and hopefully the future will bring more women like her into science. Thought goes to her family.